High windows overlooking a courtyard reflect the Museum of Comparative Zoology. The low granite curbs among the trees frame skylights. The labs in the building are unusually flexible. Instead of air pipes affixed to a wall, for example, hoses drop down from the ceiling. The desks and tables, rather than remaining bolted to the floor, can be readily reconfigured to suit researchers’ needs. 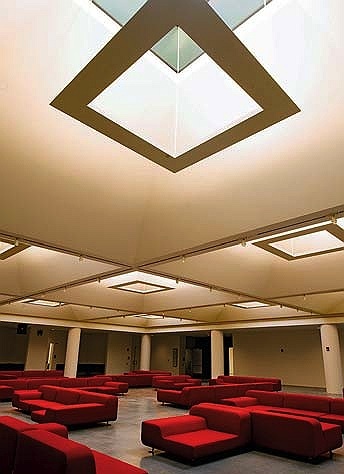 Dawdlers can relax on couches and gaze up through those same skylights in one of the building’s social spaces. 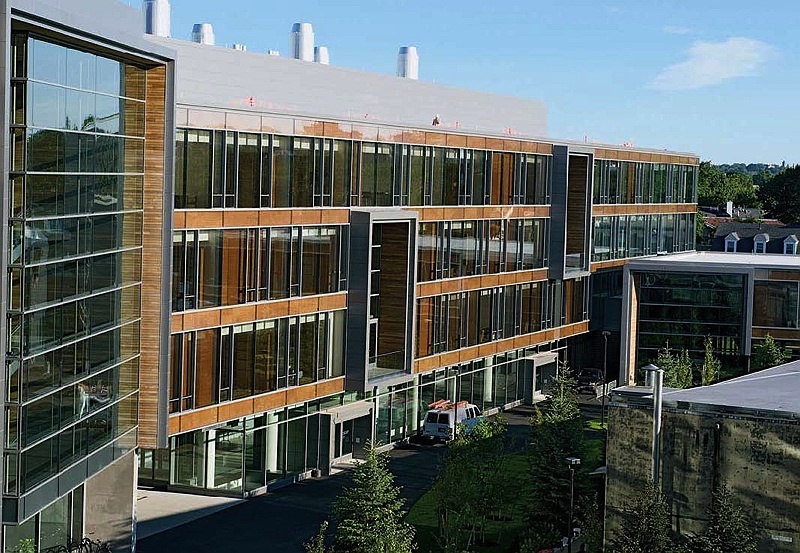 The northwest science building houses the Center for Brain Science, a systems-biology lab, classrooms, and (coming soon) entire collections from the Museum of Comparative Zoology (MCZ). But the impressive façade, rising four stories above Oxford Street, only hints at the building’s true size. “I wouldn’t say ‘tip of the iceberg,’” explains project manager Vincent Pafumi, “but a large percentage of the building is below grade.” More than half of Northwest’s 470,000 square feet is underground. Four stories beneath the surface, work continues on a neuroimaging lab, soon to include MRI machines. 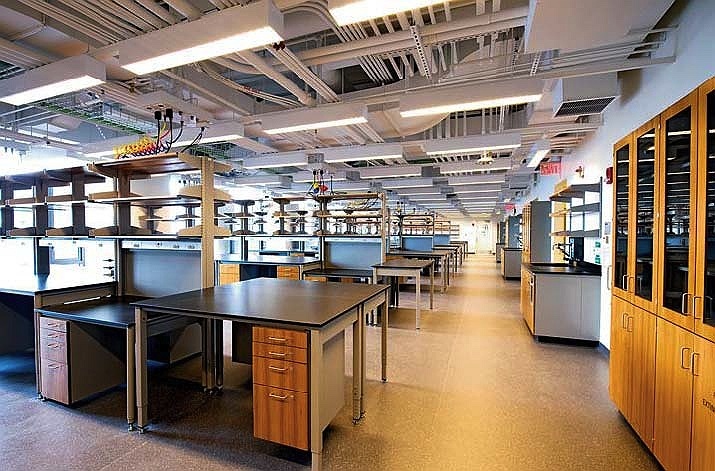 On the second and third floors down, facilities for the MCZ occupy nearly 50,000 square feet. James Hanken, director of the museum and Agassiz professor of zoology, says that the collections (at least five, likely ranging from mammals to birds to mollusks) won’t simply sit in storage. Undergraduates and visiting scientists alike will be able to study the specimens in work areas and labs. The museum’s current facilities are less than ideal—too hot in the summer, too cold in the winter—but Hanken promises that the new space will be state of the art. The first floor below ground level already teems with students going to and from class in the building’s two auditoriums and seven seminar rooms. The ground level has teaching labs and a café that is scheduled to open in December. The second and third floors contain the Center for Brain Science, where neuroscientists will study everything from memory to how young birds learn their fathers’ songs. 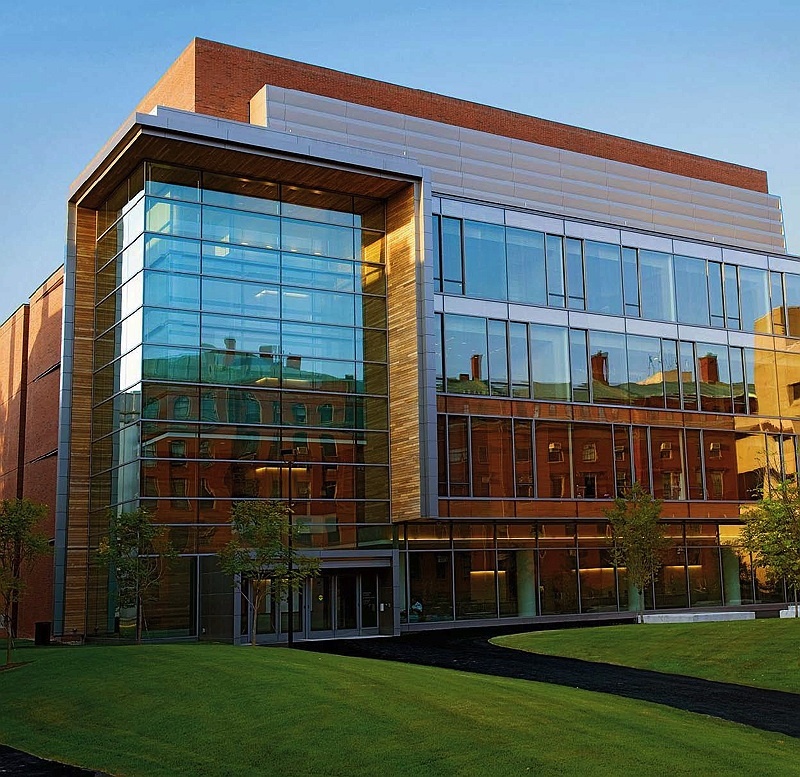 The top floor is devoted almost entirely to systems biology, a relatively young field that brings experimental and theoretical biology together. Altogether, more than 300 people, including about 30 faculty members and their research groups, will work in the new facilities. The most difficult part to build? That, says Pafumi, would be the floating staircase that connects the first floor to those above and rises from landing to landing without support pillars in between.